For a chance to win a free 6 MONTH OR 1 YEAR MEMBERSHIP…. We want to challenge you to COMMIT to crushing your goals holistically! 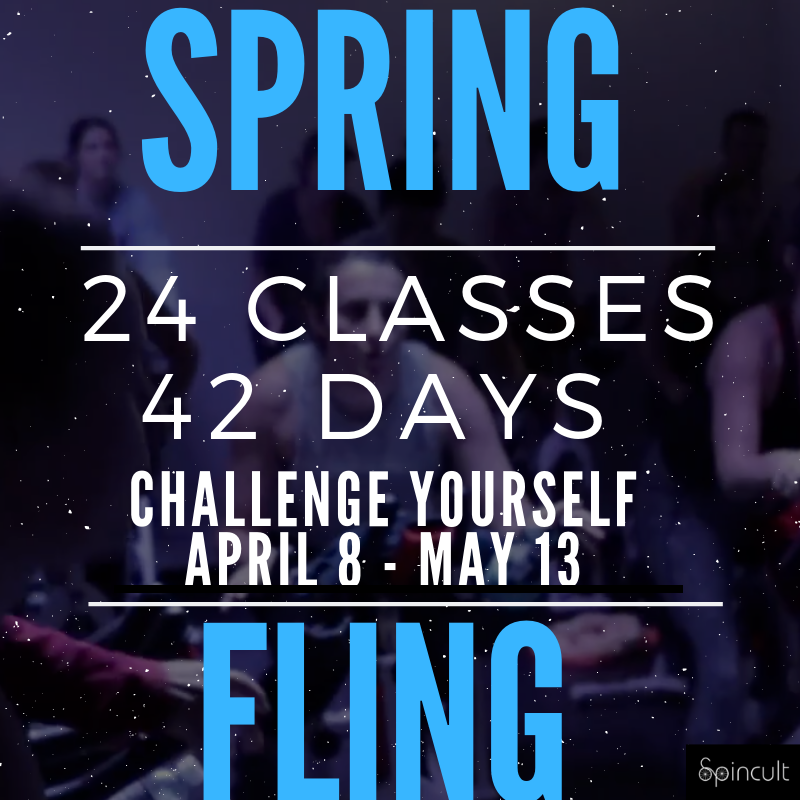 JOIN our SPRING FLING Challenge – 24 rides in 42 days NOW FOR $160! As our gift to you, you get one week free + the 6 weeks of the challenge! Once you purchase, your access to the studio begins!